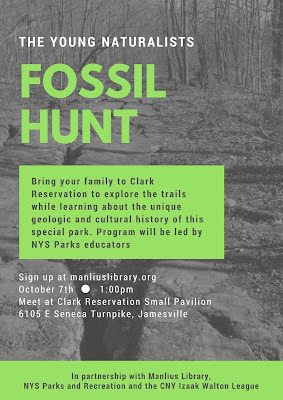 Join us on October 7th at Clark Reservation to learn about the geologic history of the park with NYS Parks Educators. Have you ever wondered what organisms used to live in this area tens of thousands of years ago? Did you know that there once was a waterfall larger than Niagara Falls located right here in Central New York? If you are curious about either of these questions then this is the hike for you! 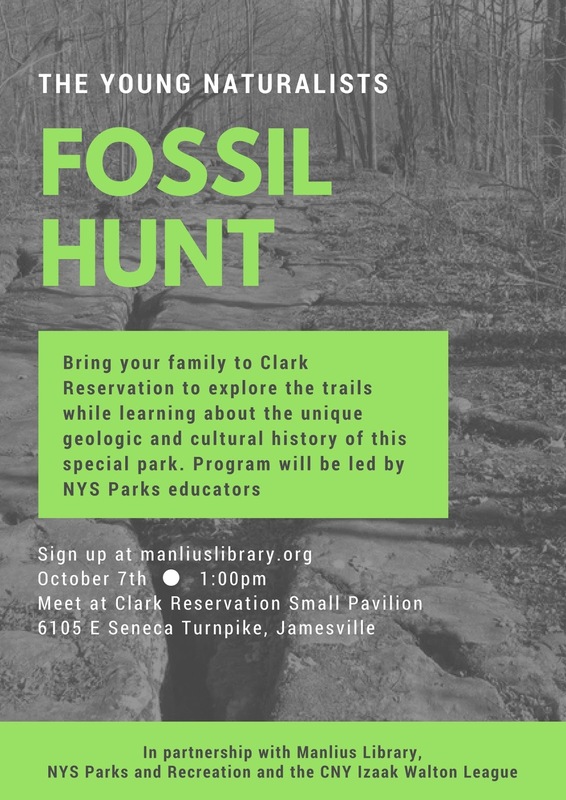 This event will include hiking on trails in the park to look for fossils and hear about the park's ancient waterfall. So bring your family to enjoy a nice afternoon outside in the park. We will be meeting at the Small Pavilion, which is located near the Nature Center at the park. All family members are welcome to join, and participants over the age of 8 are allowed to participate without a parent or guardian.